Must Immo, is a real estate agency based in Tangier but which also operates in the other cities of Morocco and also abroad. Must Immo is distinguished by the quality of service it offers, its transparency and the great care and personal attention brought to every transaction. It offers real estate investment advice, real estate agency services in terms of renting and selling houses, riads, villas and apartments (furnished or unfurnished). The Agency has also recently launched an additional service of “Home Staging” which is a technique of bringing together decorating and marketing to make the most of your property’s commercial value, allowing its customers to successfully complete sales and rental transactions. The properties which we offer are a direct result of our extensive network of partners here in Tangier and the trust of our clients is proven over the many years of enabling our satisfied clients to purchase and sell their dream home. The loyalty of our customers and the confidence they award us are the rewards of this successful involvement over many years. Fouzia Benaddi – Managing Director. 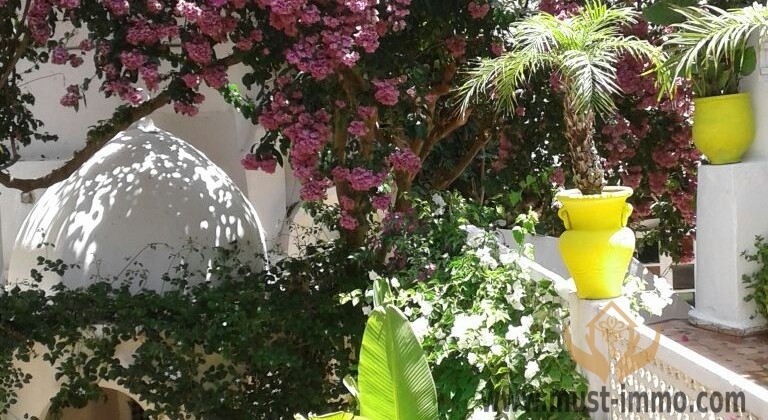 Mohammedia : Splendid Villa in quiet residential area close to the beach.